Here are easy Observational Puzzle Questions for kids to test your visual skills. In each of these Observational Puzzle Questions letter N is hidden among the four different groups of letter M. There is only one N hidden in these four groups. 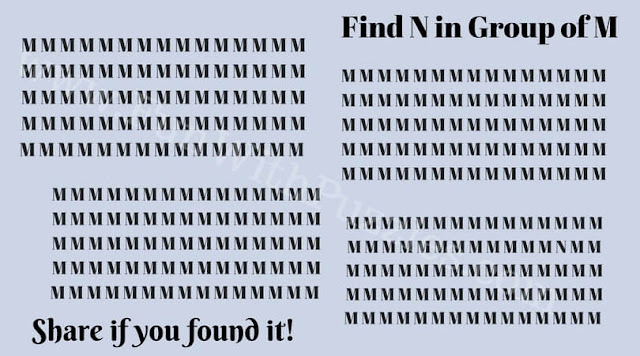 You challenge is find this hidden letter N as quickly as possible. Answer of these Observational Puzzle Questions will be given soon. 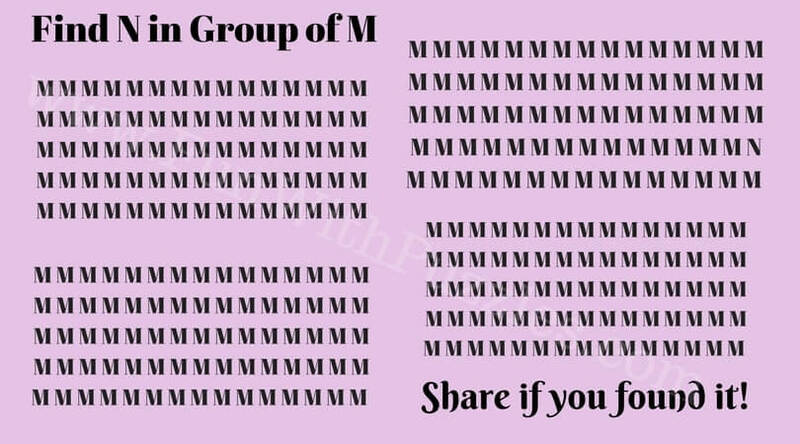 Till that time you can write your answers in the comment section of this post. 1. 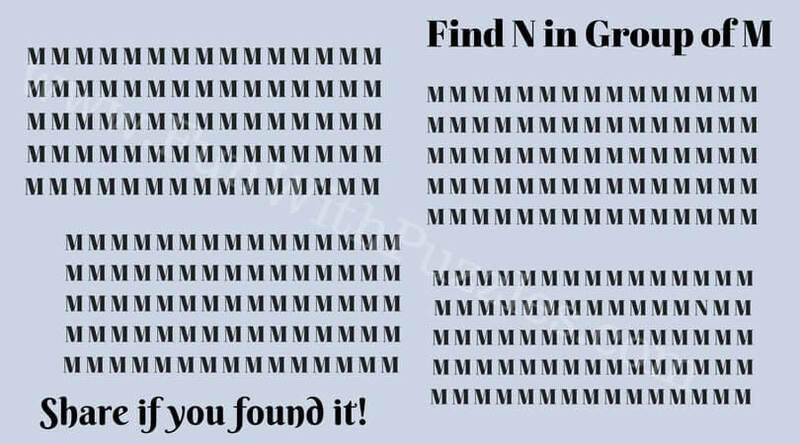 Can you find hidden letter N in this picture? 2. Can you find hidden letter N in this Puzzle Picture? 3. 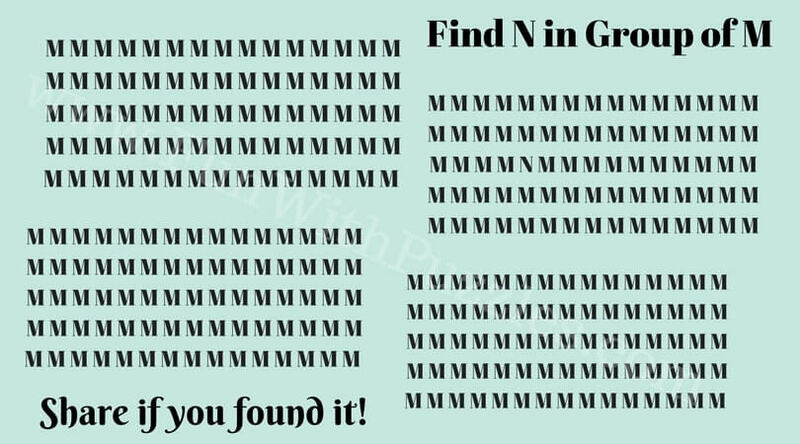 Can you find hidden letter N in this puzzle image? 4. 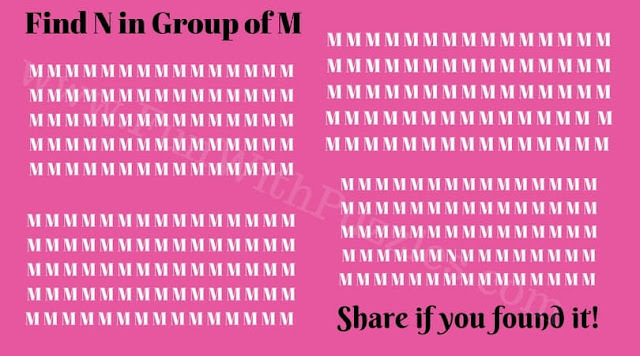 Can you find hidden letter N in group of Ms? 5. 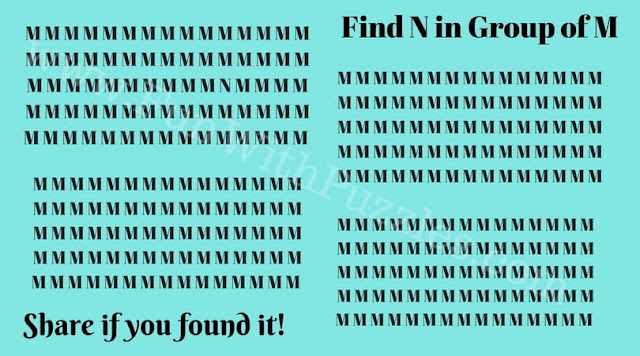 Can you find hidden letter N?